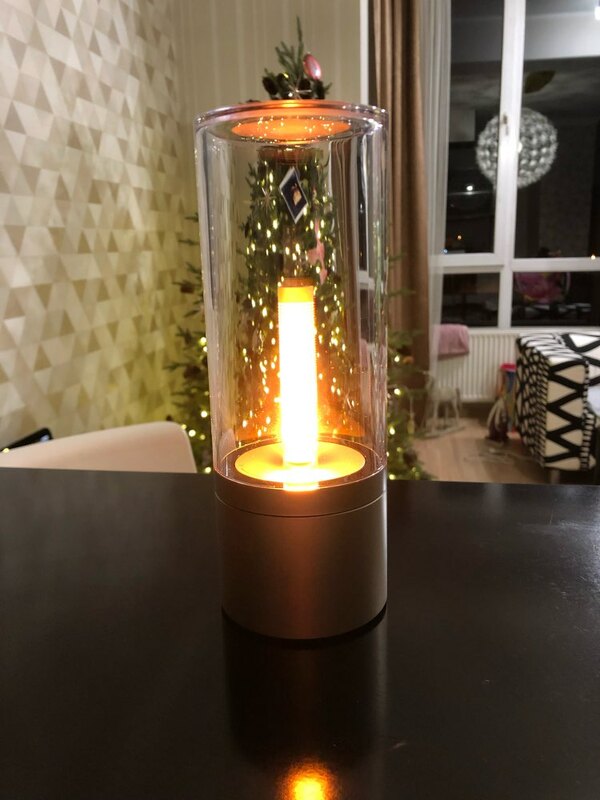 Candela is the world’s only smart candlelight using the latest Bluetooth (BLE) Mesh technology, combining the warm comfort of candlelight with the convenience and control of smart technology. The BLE Mesh technology allows up to 30,000 units Candelas to communicate with each other. 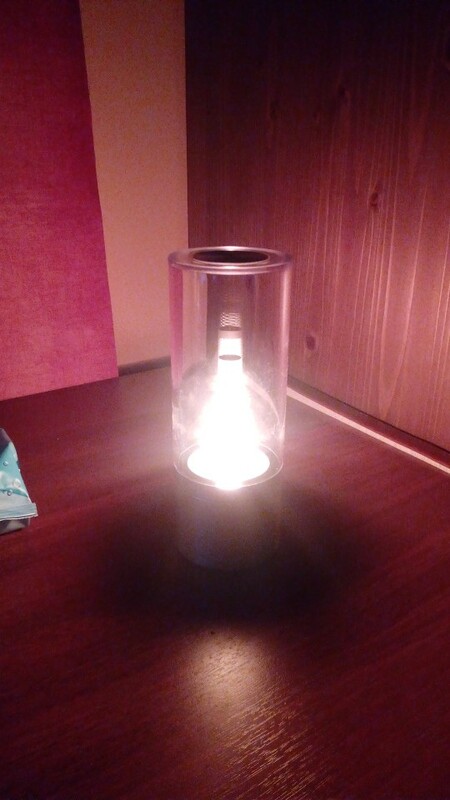 IoT Device Control your Candela and other Yeelight smart lights with our Android or iOS apps. 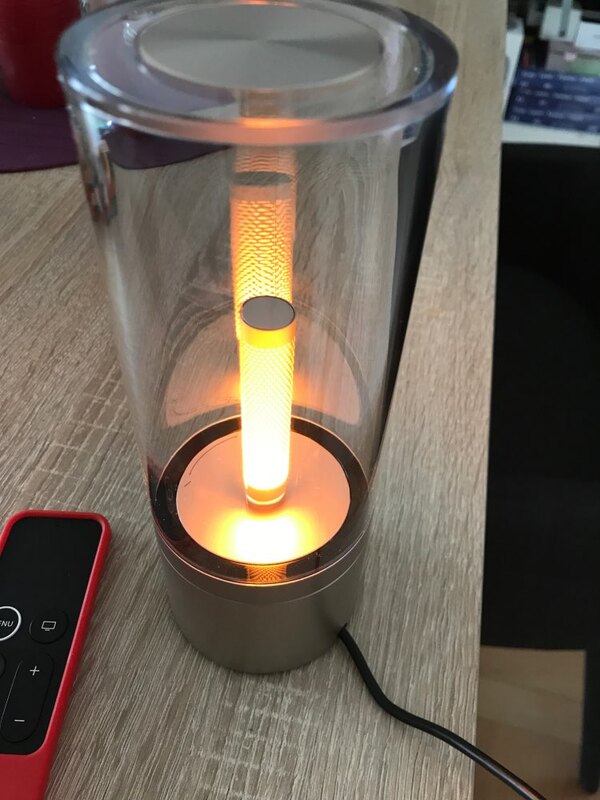 Our engineering team is also working to make Candela Alexa, Google Home and IFTTT compatible. Easy to control Life with Your Candela The built-in 2100mAh battery allows for up to 8 hours of continuous use on a single charge. The portability lets Candela fits in any moment of your life. Decorate with Candela Distinctive Design Candela’s final design was the sum effort of 4 months collaboration with multinational design teams. Thousands of sketches were devised and revised in order to find the perfect blend between light, aesthetics and technology to proudly deliver a high quality product in every sense of the word. Scene setup It looks even better when you have a group of Candelas. 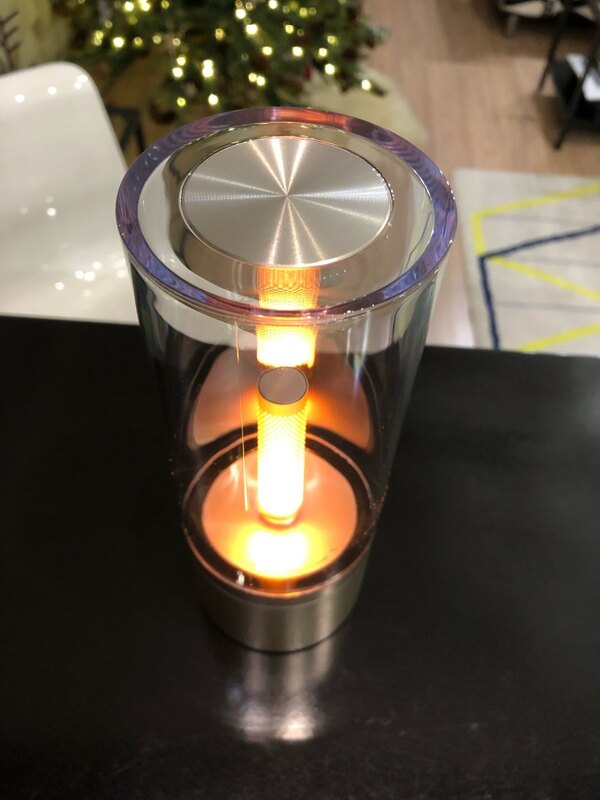 Top Quality Materials We want to fully load the lamp, offering a timeless piece with minimalist design components while using top quality materials to bring you the luxury product experience. We paid attention to every last detail in this lamp. 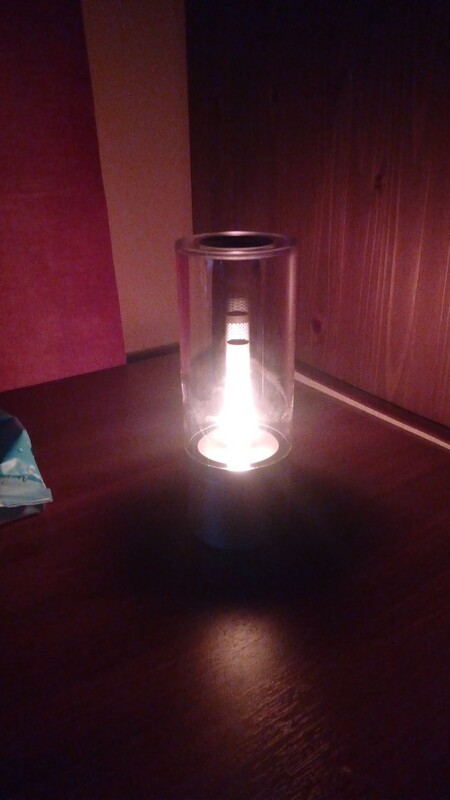 We tested every part carefully and put the most suitable pieces in your Candela。 The Lamp Wick We tested 32 different materials’ lifetime, melting point, radiating capability, and thermal condition efficiency and picked Copper alloys-bass to be the lamp wick material. Candela can run straight 8 hours under 14°F-104°F (-10°C-40°C) without overheat. 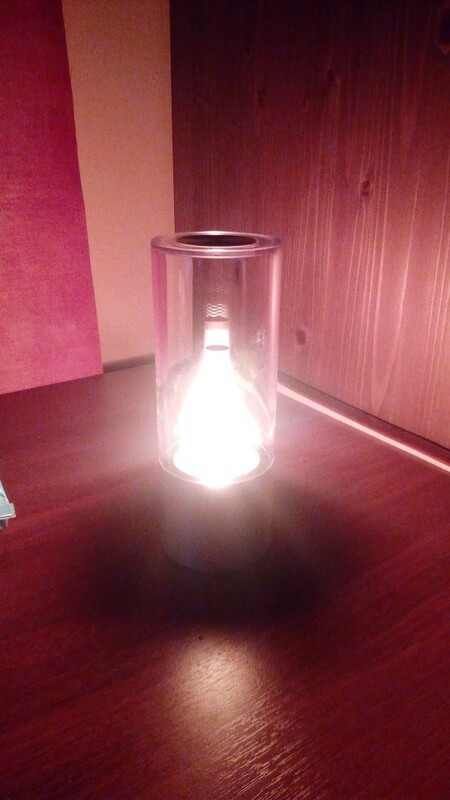 To maximize your experience we created 1320 metallic hole arrays on the lamp wick enhanced light transmission. 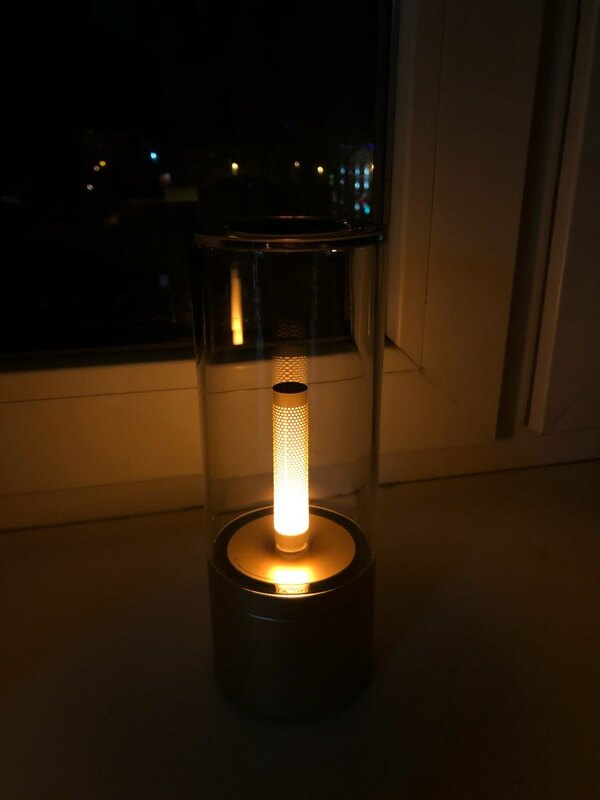 The Lamp Cover The glass like naturally transparent poly-carbonate (PC) lamp chimney tube allows light to distribute evenly and beautifully. The PC lamp cover is manufactured in dust-free workshop from a one-piece sheet that is engineered to retract without joints or impurity. PC material also benefits the lamp cover of greater impact strength, increased resistance to breakage and higher heat resistance. The Gear Candela adopted the quiet gear drive idea. We use top tier factory to ensure every gear teeth bites perfectly and works smoothly. 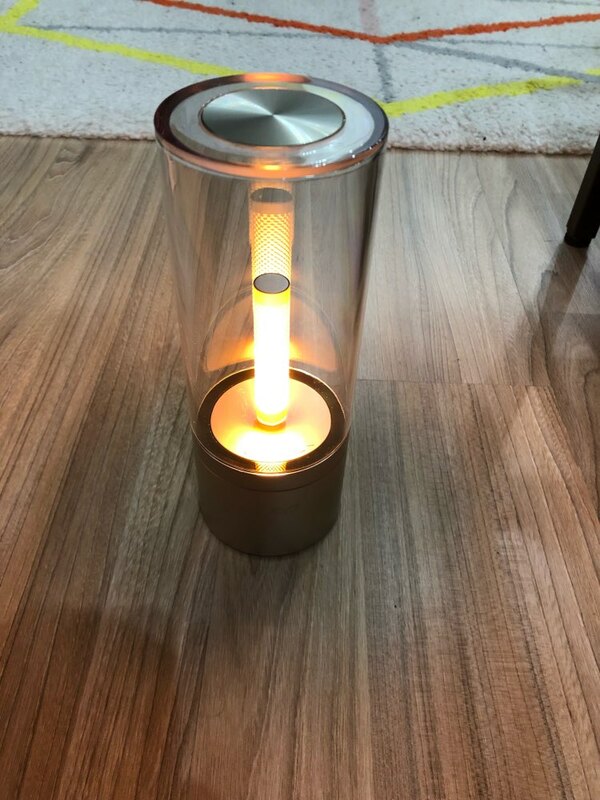 The Base The aluminum alloy lamp base with anodic coating enhanced the sleek and polished appearance. 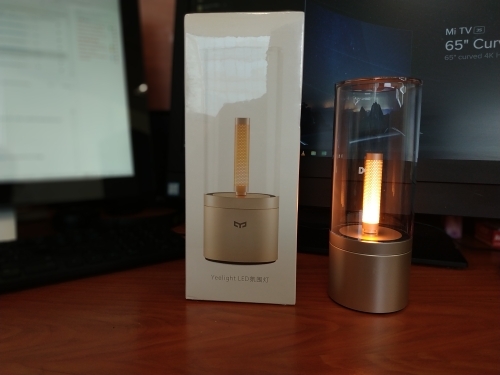 Visual Comfort Light The Candela holds an 1800K color temperature, which is the same color temperature as candlelight, with adjustable brightness, leading to the warm familiar copper of candlelight. Designed with health in mind, Candela produces minimal blue light. Over a decade of scientific research ranging from Harvard Medical School to NASA has concluded that we are physically and mentally affected by the light that we are exposed to. The constant buzz of our devices, our communities, and of traditional lights all have a role to play in our productivity and general well being. Charging is Easy Using regular USB cable to charge. 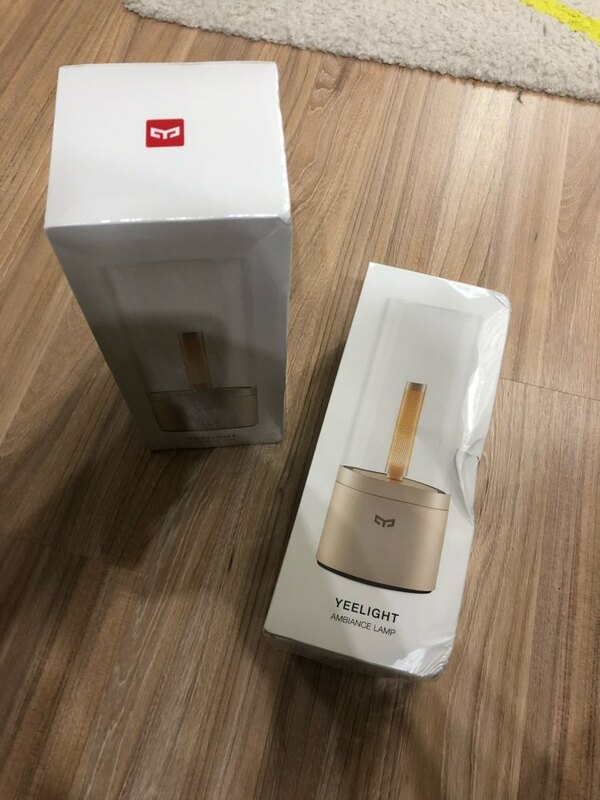 Product Road Map Yeelight products are Amazon Alexa, Google Home and IFTTT compatible. 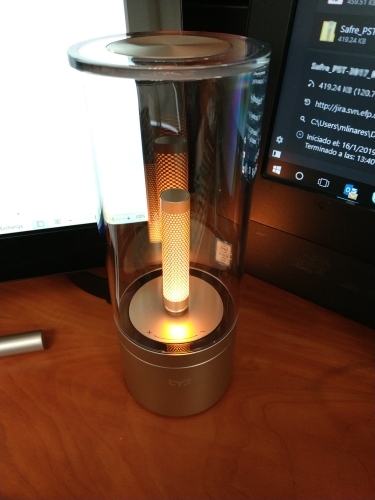 Our engineering team is also working to make Candela Alexa, Google Home and IFTTT compatible as well. Очень крутая вещь! Долго быстро, упаковка была немного замята, но внутри всё целое! Работает красиво, сделано качественно, легко подключил к телефону! Рекомендую продавца и товар! Товар так не пришёл, продавец вернул деньги. шикарные светильники,включаются поворотом корпуса вправо,5 режимов яркости,очень удобно и элегантно. посылка не пришла, трек был фейковый, через 2 месяца вернули деньги. Продавец не отвечал. печалька :((( Потерял много времени. Свечи ждали дети ….